It’s gorgeous today. It finally feels like spring might be here to stay. Hooray! 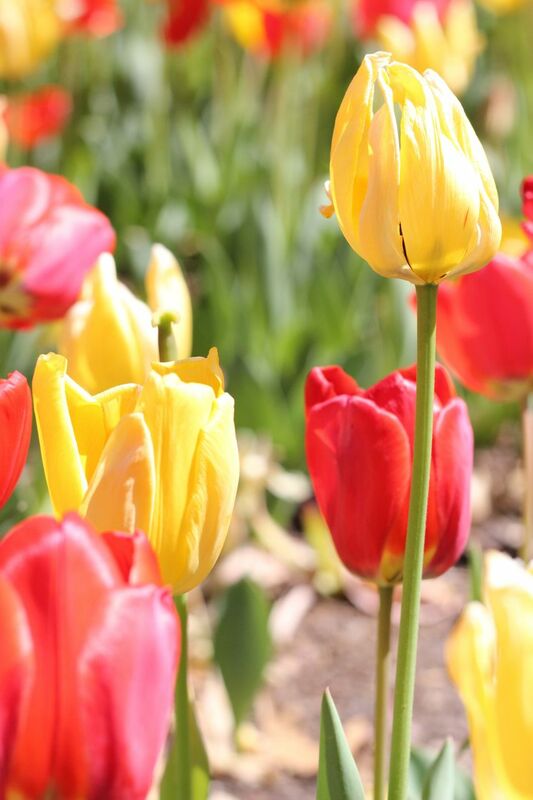 And of course, with spring comes one of my top ten favorite things about OU — the tulip gardens. Almost everywhere you look, people are smiling. I am going to go out on a limb here and say that those smiles are the product of about 40% sunshine and 60% tulips. And what’s not to love? 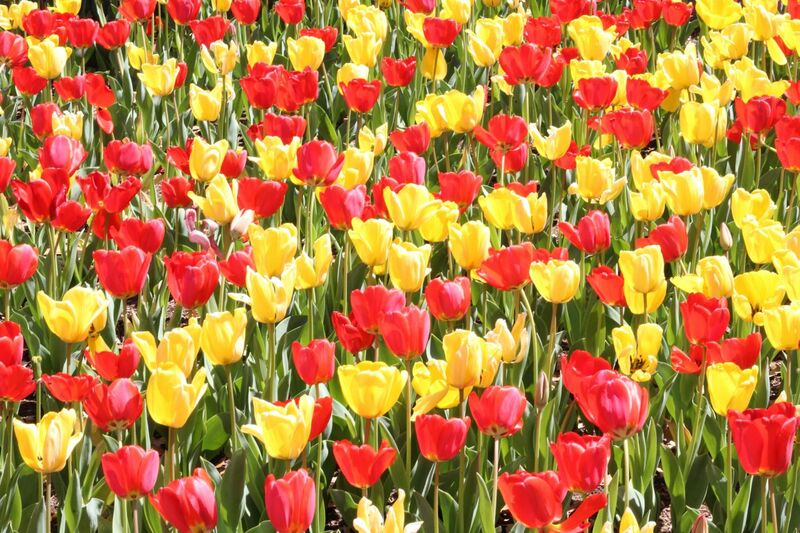 The flower beds on campus are completely covered with red and yellow pieces of happy. It’s impossible not to smile. I absolutely love the fact that the gardens here on campus are all endowed. Thank you so much to whoever donated money so the university could plant giant beds of wonderful flowers every season. Donors deserve a special spot in heaven with permanently beautiful weather and never-diminishing platters of chocolate truffles. 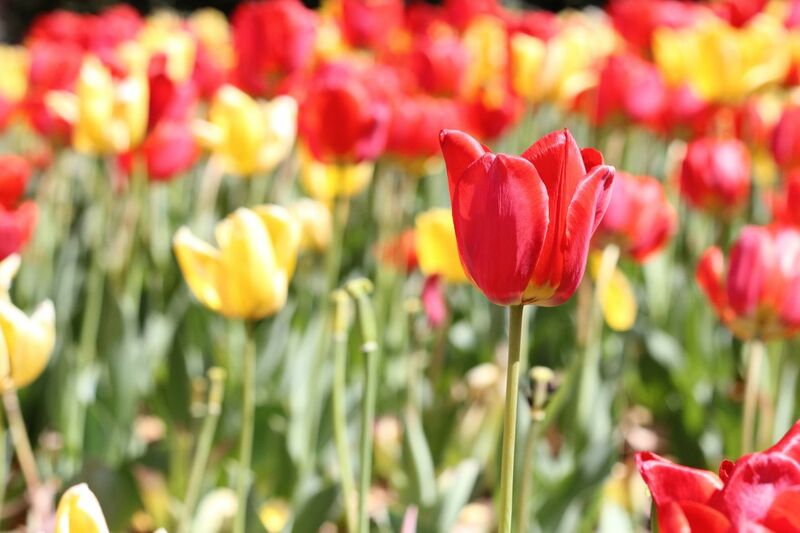 And, even though tulips only last three or four weeks (and have to be replanted every year), I will argue to the death that those tulips gardens are not an unnecessary extravagance — which I overheard some girl saying the other day. She’s wrong. 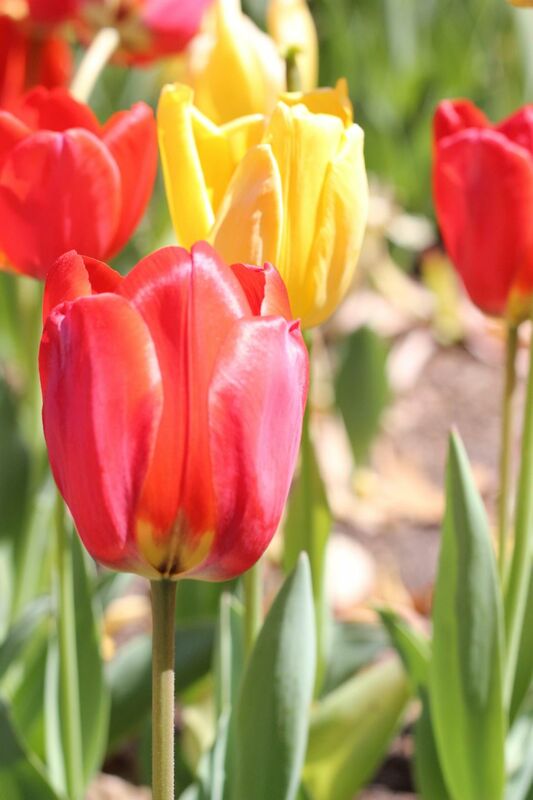 These tulips are critical to the sanity of our students me. And can beauty ever really be called an extravagance? Anything that uplifts your spirits and brings a smile to your face is well worth the time and energy. Because that’s what life is all about. Being happy. The rest is just buttercream frosting.